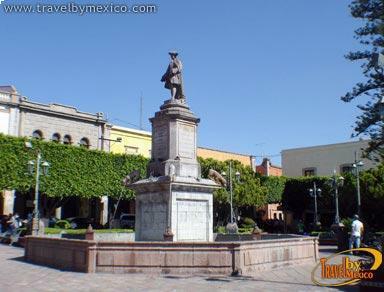 Libertad 35, Centro, Santiago de Querétaro, Qro.. 76000. 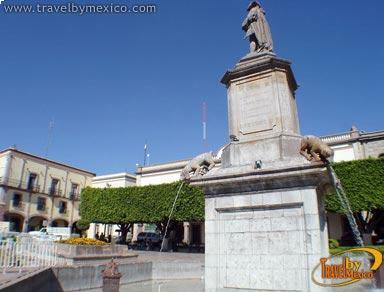 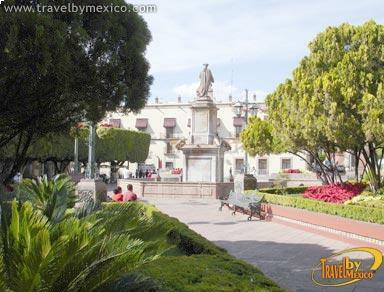 The Plaza de Armas is the testimony of gratitude from the people of Querétaro for their great benefactor, Juan Antonio de Urrutia y Arana, Marques de la Villa del Villar del Aguila, who financed the construction of the aqueduct, a symbol of the city of Santiago de Querétaro. 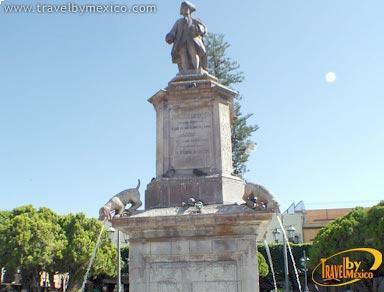 Finely carved in pink stone, on March 28, 1843 the first stone was laid by Don Diego Almaraz and Guillen.